This page tracks the status of the GSOC project "Hudson integration for Mylyn". The project namespace will be org.eclipse.mylyn.hudson. 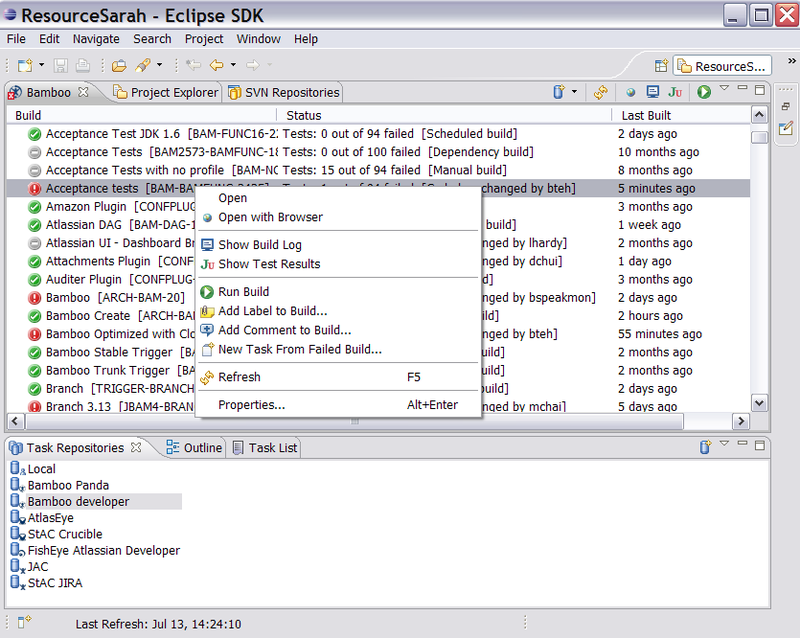 The namespace for common build infrastructure will be org.eclipse.mylyn.builds. The project will consume the Hudson API via REST/XML with JAXB as marshaller (using the provided xml schemas). This page was last modified 04:28, 29 July 2010 by Markus Knittig. Based on work by Harshana Eranga Martin.